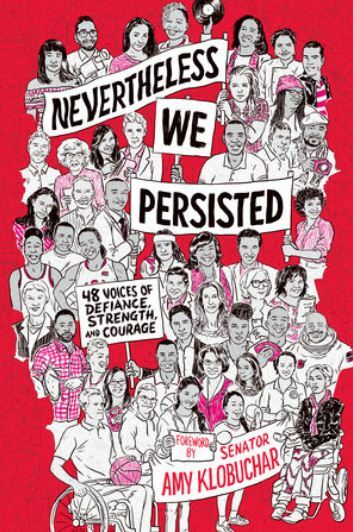 The book is a powerful collection of essays from actors, activists, athletes, politicians, musicians, writers, and teens, each writing about a time in their youth when they were held back because of their race, gender, or sexual identity–but persisted. Soulaima Gourani Emcee: Strategies for Creating Communities of Tolerance and Compassion. triumph over intolerance, injustice and inequality. “Thriving on opportunities to help clients succeed, I connect people and business from around the world”. I am a business agent with relations all over the world and in many different industries. I have taken my expertise to a higher level providing personal and confidential strategies through my company Tradeconductor.com located in Austin, Copenhagen and now also in Palo Alto (juhuuuuuu). Tradeconductor.com connects people! Soulaima Gourani is selected as one of the speakers at Leaders – a mindblowing platform for amazing speakers. They have top jobs, they have influence, they are role models, and so they have produced remarkable results. Berlingske Business Magazine presents ‘100 Danish Women in the Top 2017’ divided into ten categories. See the list of ‘100 Danish Women in the Top 2017’ (In Danish). Throughout my teenage years, I was simply asked to speak less… and well, who would have thought that speaking (fast) would eventually lead to a professional career? A lot of people think that my job is really great. And many can barely believe how many lectures I give every year all over the world. Freedom, travelling to exotic places, and working with many exciting people –sounds great, doesn’t it? I love it! It’s a job and a combination of tasks that many people say they would love to do. Some even claim that I have their dream job. I motivate and educate more than 55.000 people LIVE very single year. I do almost 200 talks a year. It is A LOT! The last few years took me to more than 35 countries. I began my career as a public speaker in 2001, and later that year I gave my first paid lecture. At the time I was working for a Norwegian company and had to take time off to lecture. This happened more and more often, taking time off, lecturing, and going back to my job. That’s how it all started. People often ask me how to become a sought-after speaker – so successful that you get more requests than you can comply with and consequently earn enough money to live on. Look, it’s not something that happens over night; what lies behind all of this is a lot of hard work. Today I am PROUD that I have I dedicated my own life to improving the lives of others. Soulaima Gourani joins IMPACT lab’s Board of Directors in New York. Impact Lab is a program designed for members of the YGL community looking to jumpstart or refine the planning, execution, and management of new or established YGL collaborations. Soulaima Gourani joins HippoCorn that helps start-ups and established firms move in the right direction, by connecting them with investors and specialist advisors around the world. The team has facilitated more than 430 company changing transactions between them, ranging from US$50K to US$3 billion. In addition, each of the core team members has hands-on experience launching or working on a start-up previously.